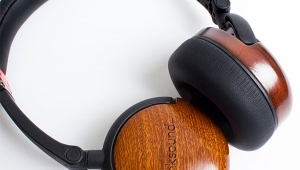 While headphone listening remains secondary to that of loudspeakers for most serious listeners, it's still an important alternative for many. And while good conventional headphones exist, electrostatics are usually considered first when the highest playback quality is required. As always, there are exceptions (Grado's headphones come immediately to mind), but most high-end headphones are electrostaticsuch designs offer the benefits of electrostatic loudspeakers without their dynamic limitations. 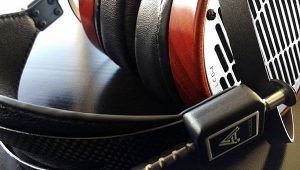 Last year I reviewed the Koss ESP/950 electrostatics (Vol.15 No.12), a remarkable set of headphones from the company that practically invented headphones for serious home listening. Here I listen to examples from two other companies, each known for its headphones since Pluto was a pup. 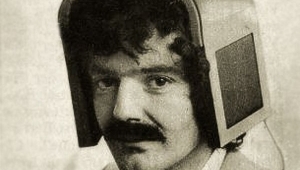 Did I just say that headphones are a secondary means of listening for most audiophiles? 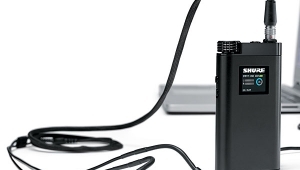 Take one look at the Sennheiser Orpheus's price tag and you might wonder who would consider such a device a secondary system. Its import duty alone must be higher than the entire price of all but a handful of other 'phones. I can't imagine anyone who listens primarily through loudspeakers purchasing these 'phonesbut then, I can't afford a Ferrari, either. Because of its high price (undoubtedly made worse by the strength of the Deutschmark), the Orpheus is strictly a limited editiononly 300 sets will be constructed for sale worldwide, which means no economies of scale. If you build fewer of something because it's expensive, it'll be even more expensive. If looks could kill, the Orpheus would be deadly. 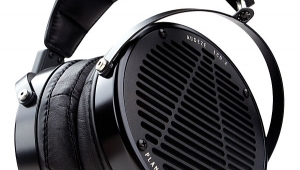 The well-made headphones look conservative, but what catches your eye is Spaceship Sennheiserthe HEV 90 tube amplifier which provides the required step-up and interfacing to drive the headphones themselves. Its Art Deco design is simply striking. With its polished aluminum surfaces, six visible tubes covered with shiny tube shields, black accents, and wood trim, it would look equally at home in a listening room of almost any period or in a Flash Gordon movieit looks expensive. 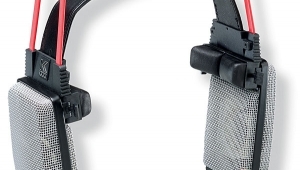 At the front are jacks for two headsetsan extra pair of which could be yours for an additional $6500. Two separate level controls would've been a nice touch, but there's only one, camouflaged as the cap of the shiny pillar located front and center. A red LED on the chassis, located just to the rear of the tubes, blinks while the unit is warming up, then shines steadily once the circuits are stabilized and ready for operation. 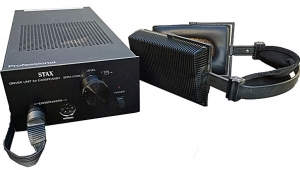 The Orpheus amplifier replaces the conventional on-off switch with a lock on the side of the chassis, but only one key is providedif you lose it and haven't had a duplicate made, you'll have to get another from the manufacturer. Until then, you'll be out of business. I think this is an ill-considered security featureyour friendly neighborhood burglar won't know it can't be turned on without the key until it's too late to do you any good. But perhaps it was designed this way to keep housebound teenagers from warping the Orpheus with heavy-metal. Unfortunately (for their ears), with its rated 118dB maximum outputwhich I did not attempt to testit's apparently designed to handle such abuse. The fuse panel (be careful to use the right size of fuse to ensure the correct voltage) and three inputs are located on the amplifier's rear. 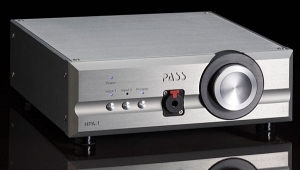 The HEV 90 may be used either from its conventional analog inputs or from optical (TosLink) or coaxial (S/PDIF) digital inputs. Sennheiser provides no information on the HEV 90's DAC other than that it's a Bitstream (one-bit) design. The HEV 90's push-pull output stage, which is designed for class-A operation, runs quite hot. 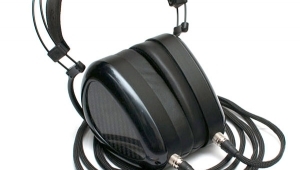 Because both tube outputs and electrostatic headphone diaphragms are of inherently high impedance, the HEV 90 drives the headset directly without the need for output transformers. 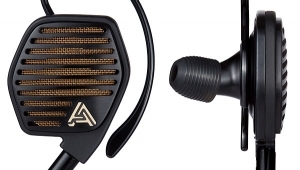 While Sennheiser is best known for their headphones, they're perhaps better known in the pro audio world for their microphones. 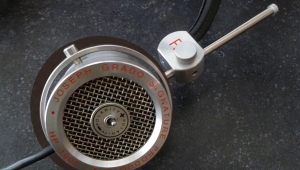 Making use of this experience, Sennheiser has fabricated the electrostatic diaphragms of the Orpheus headphones with a 1;umthick, gold-coated polymer foil. The electrodes required in an electrostatic design are made of high-strength glass with a honeycomb of perforations. One side of each of the two electrodesone for each side of the diaphragmis gold-plated. They're both clearly visible, front and rear, through heavy stainless-steel protective mesh screens. 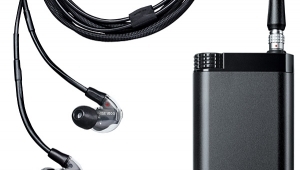 There's no question that the Sennheiser Orpheus's cost is intimidating. Despite the fact that reviewers are often accused of rating by price, more often than not the reverse is the case: We're all from Missouri here, at least in spirit; above a certain price we begin to expect great things. If we don't get them, the caution flag comes out real fast. 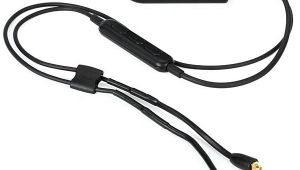 In the case of the Orpheus, we're talking about a set of headphones that costs as much as a complete Class B system selected with reasonable restraint. 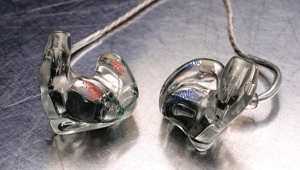 And while the Orpheus is a bit more than just a set of headphones, it's still the most expensive component of its kind (by a huge margin) known to me.